We are at the Belgium Fly Fair 2019 in Charleroi on the 26-27th January. You are welcomed to visit our stand. 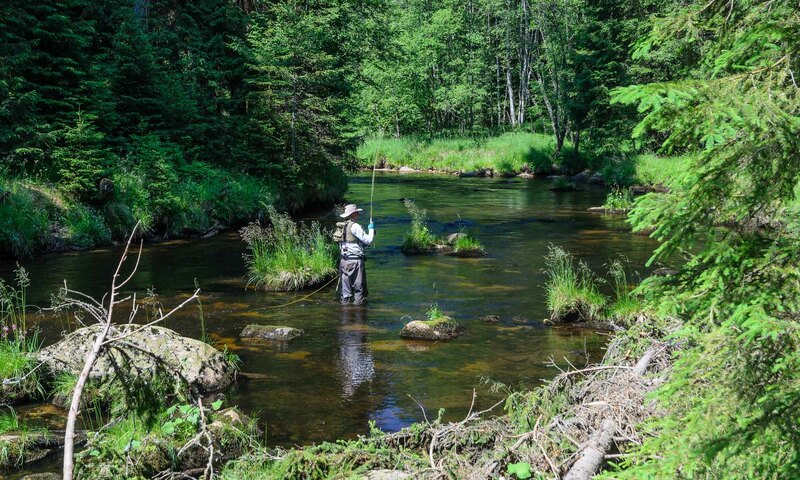 This year we will not sell fly fishing products but will focus on Fly Fishing in the Czech Republic, Jan Siman fly fishing courses and guided fly fishing trips at famous Czech rivers Otava, Tepla Vltava, Ohre and more. We share the stand with our Belgian partner Bart Boots, owner of the Outline Travel Agency. Bart offers holidays in the Czech Republic tailored to families and groups. If you like to bring some of our fly fishing products, just order them at www.siman.cz or shop.goflyfish.cz, we will deliver them to you at the show or will send your order by post. If you like to book the appointment with us, please register here or send us an email.